Stray cat Mushka was a stray living outside in the cold and her fur was dirty and stained. She had weeping sores on her shoulder, back and ear, probably from burns where she had sought shelter under a car bonnet. But Mushka’s luck finally changed when she was taken to Cats Protection’s Bridgend Adoption Centre. 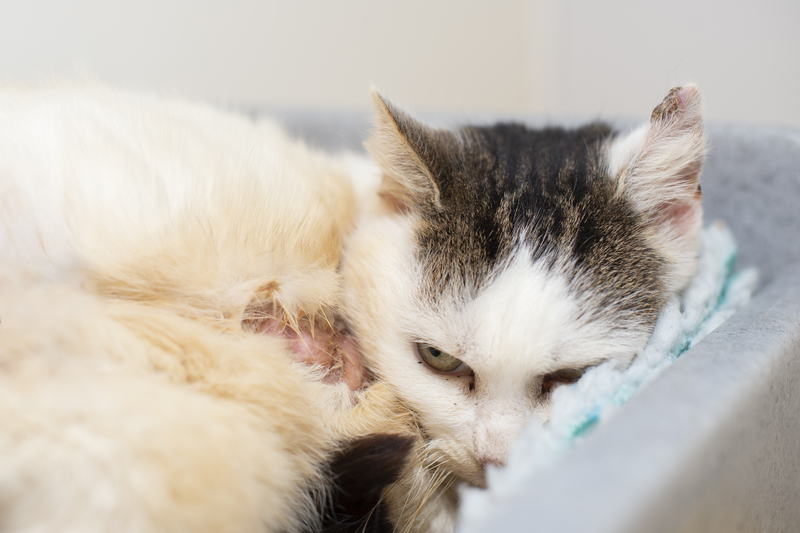 “Mushka was very scared and shied away from our cat carers when she first arrived”, said Cats Protection’s Bridgend Adoption Centre Manager Sue Dobbs. “She received treatment for her injuries and we gave her lots of TLC. “After a couple of weeks, her sores had healed enough for her to have a bath to clean away some of the dirt. “By this time, Mushka had gained in confidence and started to wrap her paws around all of our hearts. She’s become a little love bug!” Over the next few weeks, Mushka continued to recover, slowly but surely. 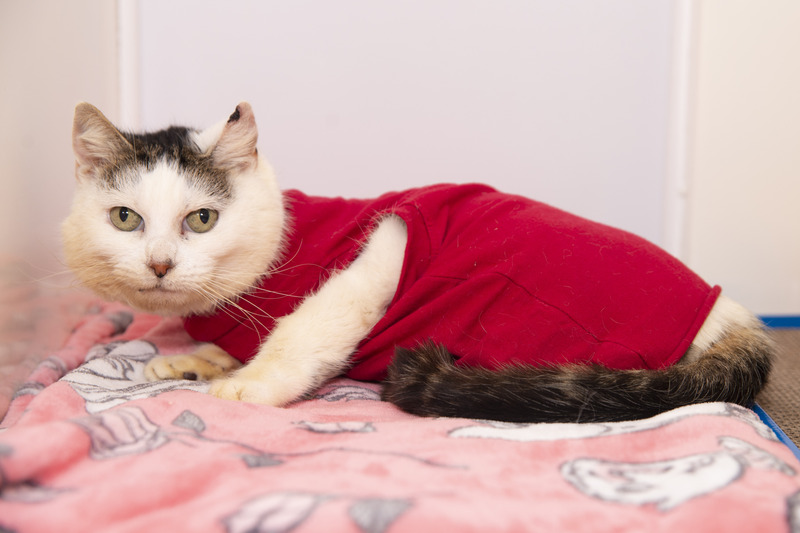 Her skin became very itchy during healing so she had to wear a buster collar - and a red jumper when she became fed up with the collar. “Mushka is one of many needy cats coming into our care every year, many of whom need urgent vet treatment and lots of TLC to give them a second chance in life; this wouldn’t be possible without the generosity of kind cat lovers.